We are gearing up for our second year on our lease of 4800 acres of private land in Dolores County, CO. This property is surrounded on three sides by a 12,000+ acre State Park. Last year was a great learning experience as we explored the whole property and learned wildlife movement and patterns. This previous year was plagued with the worst drought since 1976, but this year's snow fall is already at a record pace. The area is rich in game with elk, mule deer, bear, turkey and even a few mountain lions. We are excited to see what a normal wet year has in store. We saw some really good bull elk, but this area is not know for huge bulls, just good representative Colorado elk. We will be doing more hunts this year since we have more time to prepare than last year. Please see our Hunting pages for details. 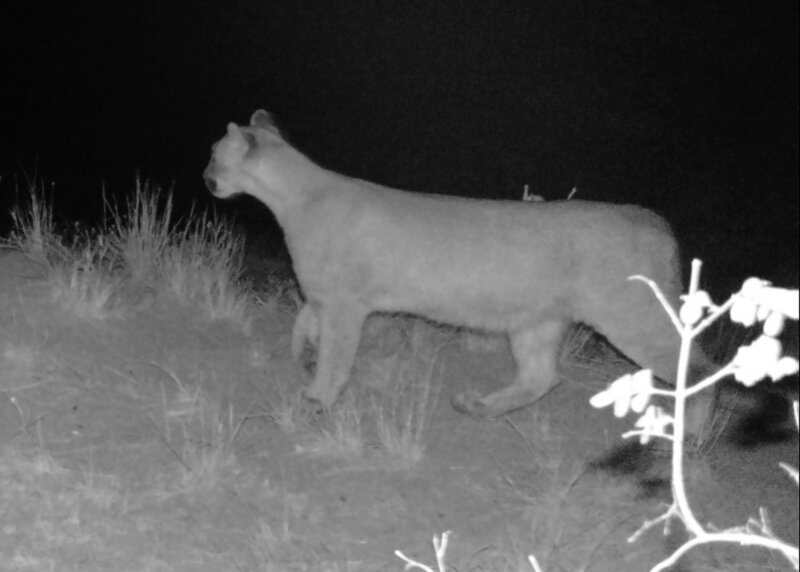 You never know what you will find on your game camera!